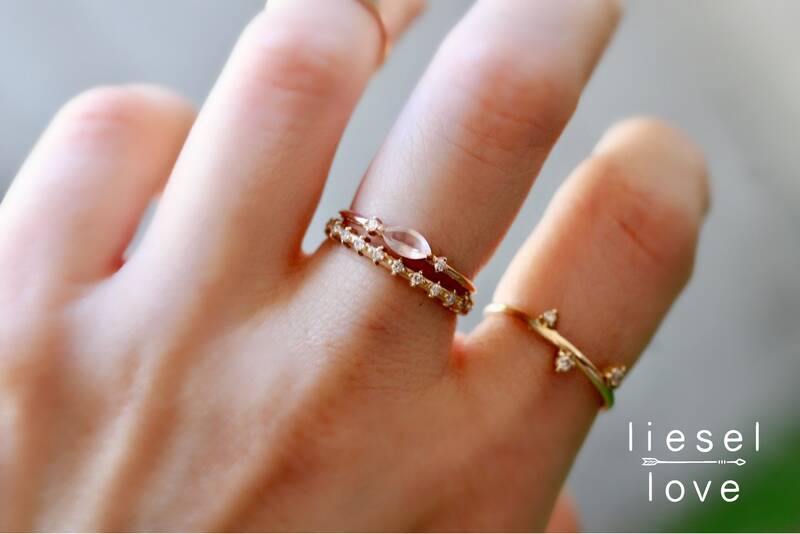 Don't just rise and shine...rise and shimmer! 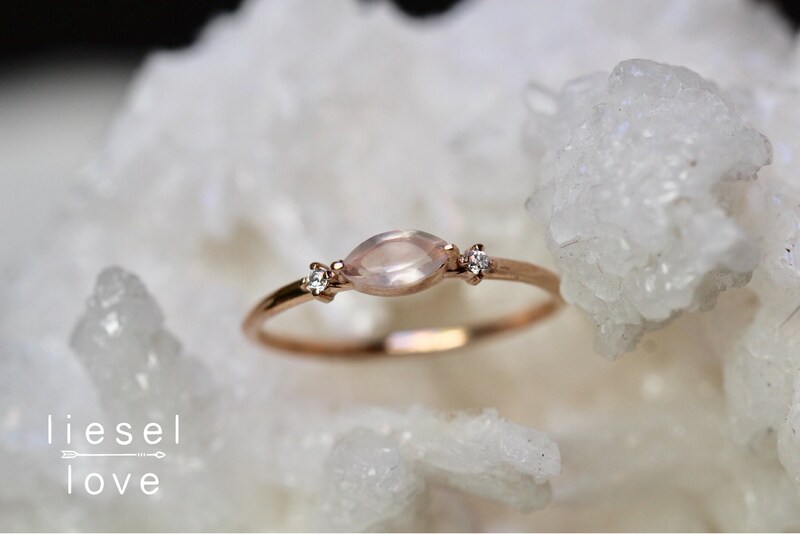 Our rose quartz and diamond "Shimmer" ring features a marquise rose quartz set on its side and flanked by two sparkling diamonds. 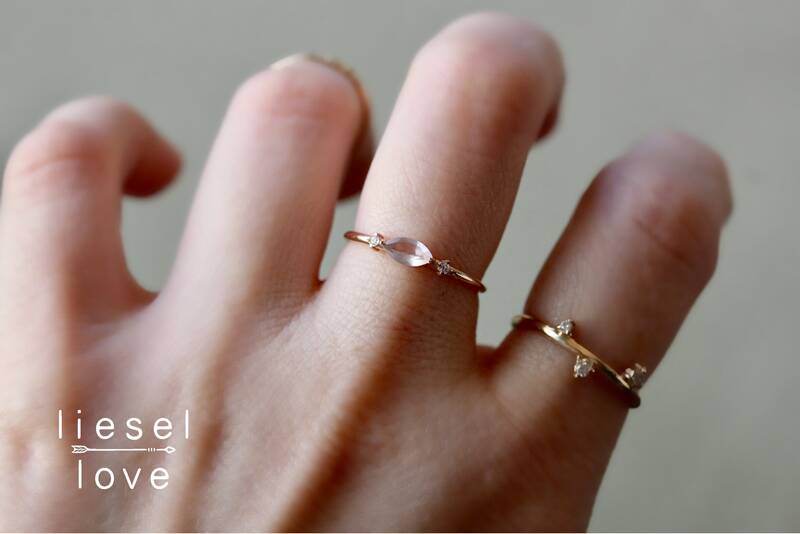 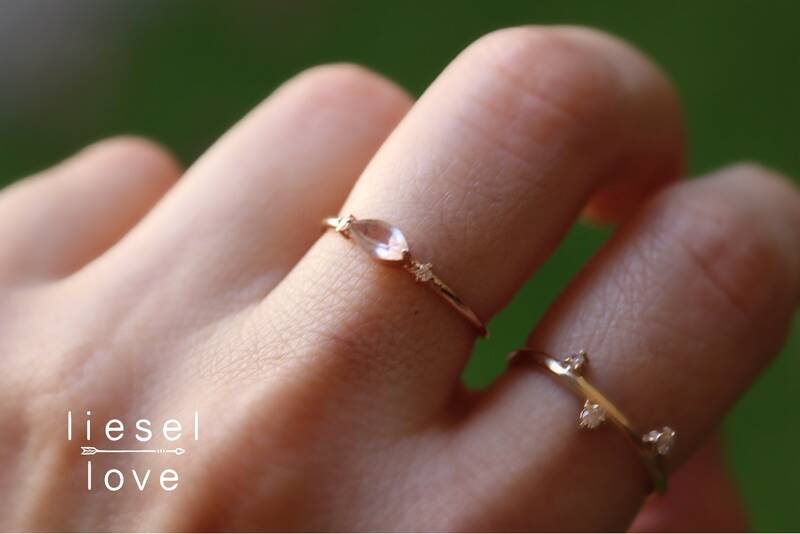 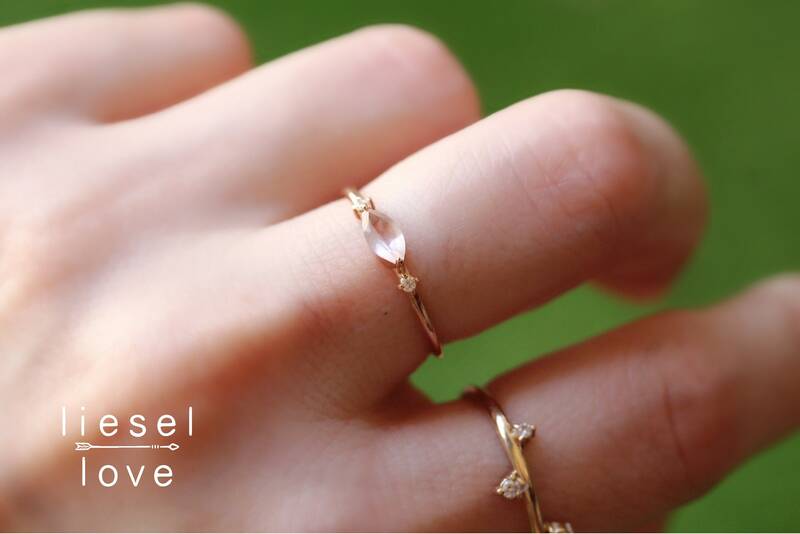 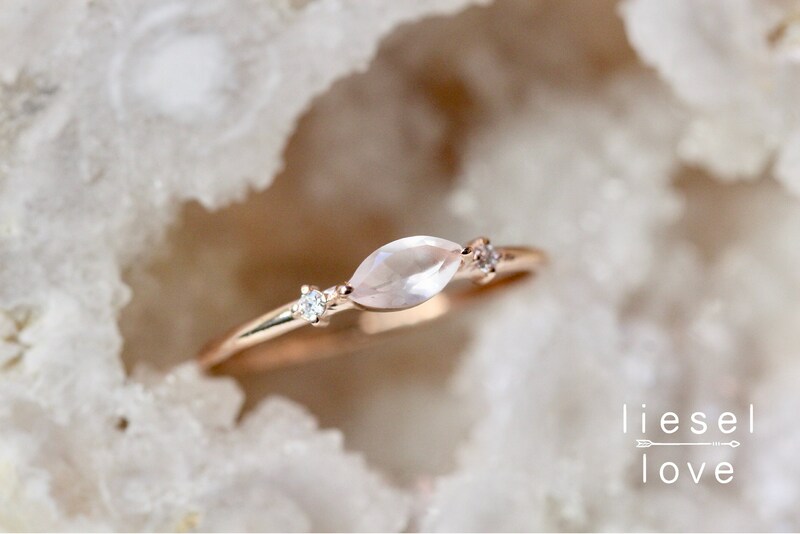 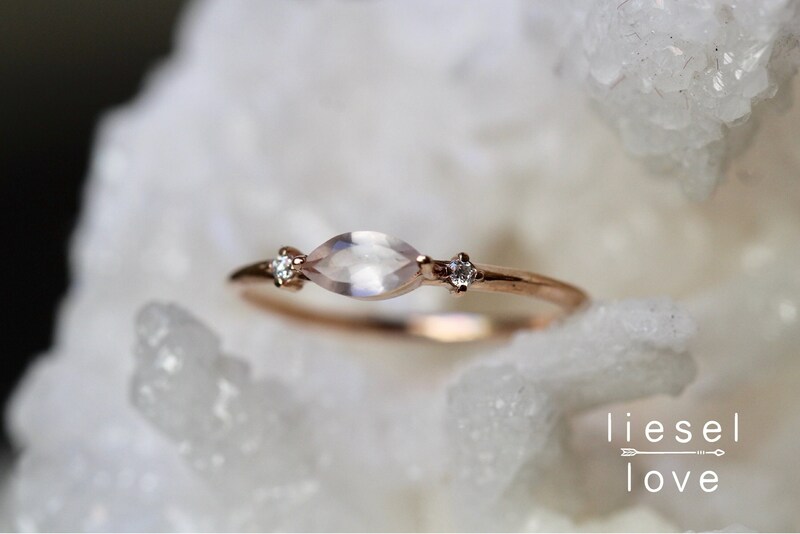 A perfect fashion ring, stacking ring or alternative engagement ring!